I recently had a request for this nearly four-decade 'ol relic. I don't actually possess a copy of Fictions, but I did have files of it. 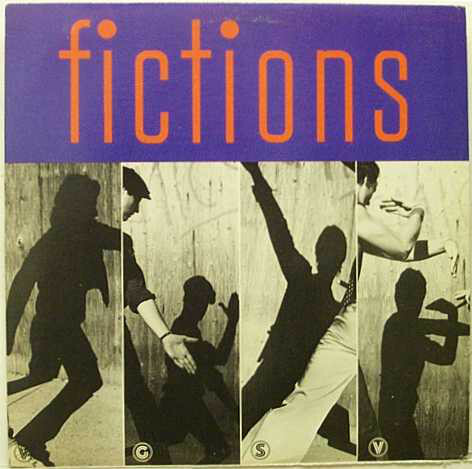 Fictions were a Canadian quartet, possibly from Ontario. No useful background data is available on them online, but then again, their moniker makes that a considerable challenge to begin with. The lead-off "Won't Wash Away" is peppered with the kind of jerky rhythmic meter that made the Police a household name, and being that virtually everything else on the record pales by comparison, it's safe to say this tune might have been their proverbial calling card. The remainder of Fictions sports a more pedestrian bent, with trace elements of the Cars, The A's and to a lesser extent the Pointed Sticks making themselves evident, albeit these guys went easy-does-it on the keyboards. Not the most innovative record going, but still plenty recommendable. wow, file dead, can you reup please?